When you sell your home or apply for a remodel permit, you may need a septic tank certification or C-42 inspection. Our highly trained team at West Coast Sanitation will locate your tank and excavate it to evaluate the condition of the tank, confirm whether or not the inlet or outlet fittings are intact and determine if the tank is rusted or deteriorated in any way. During the certification process, we will repair any problem that is found. We will complete it at that time at a reasonable cost to you. For residential septic installations and repairs, you can count on West Coast Sanitation 24/7. Contact us today for any questions! C-42 inspections are required for most real estate transactions. 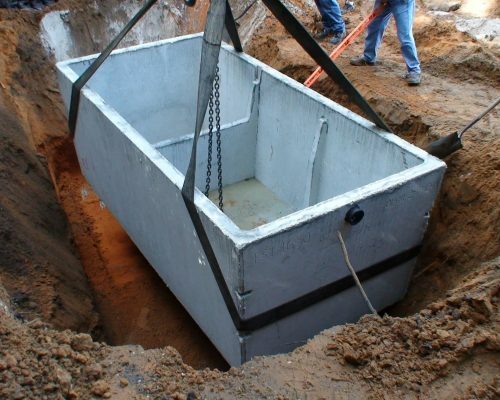 At West Coast Sanitation, our knowledgeable experts will locate the septic tank and all parts of the septic system including the seepage pit, leach lines and risers. You will be given paperwork showing the location of the septic system, then we will submit the necessary paperwork to the local Department of Environmental Health. Following a full inspection of your home septic system, you will receive a C-42 Certificate on the same day. For residential septic system maintenance, you can rely on the professionals at West Coast Sanitation. We have been serving our satisfied customers for many years and always make a point of working at your convenience. We complete our work quickly, yet efficiently, and avoid disruptions. Our experienced team has a proven attention to detail that gets the job done perfectly every time.